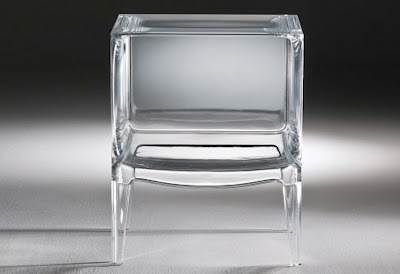 Small Ghost-Buster from Kartell (All Colors) - The Small Ghost Buster Commode was designed by Philippe Starck for Kartell in Italy. 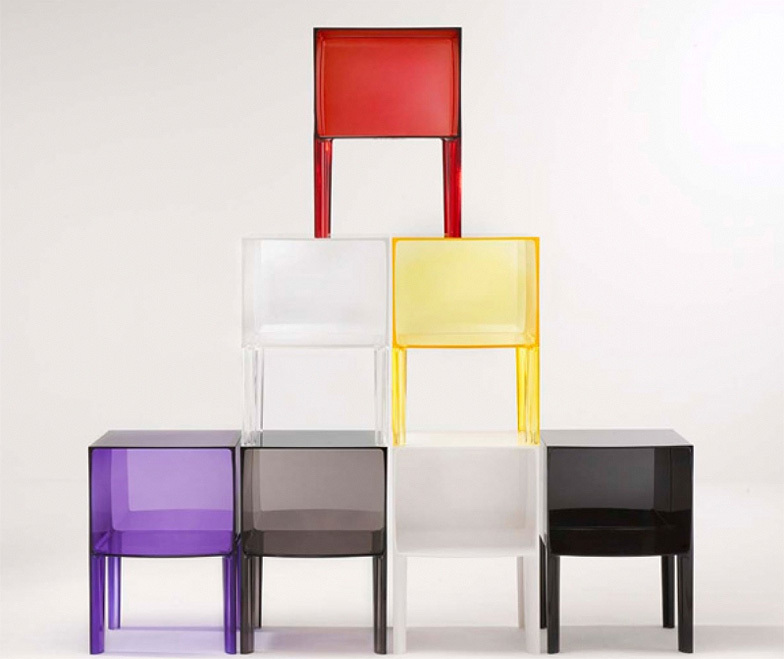 The Kartell catalog adds yet another piece to its furniture collection, the night table. Four slim legs supporting a cube. 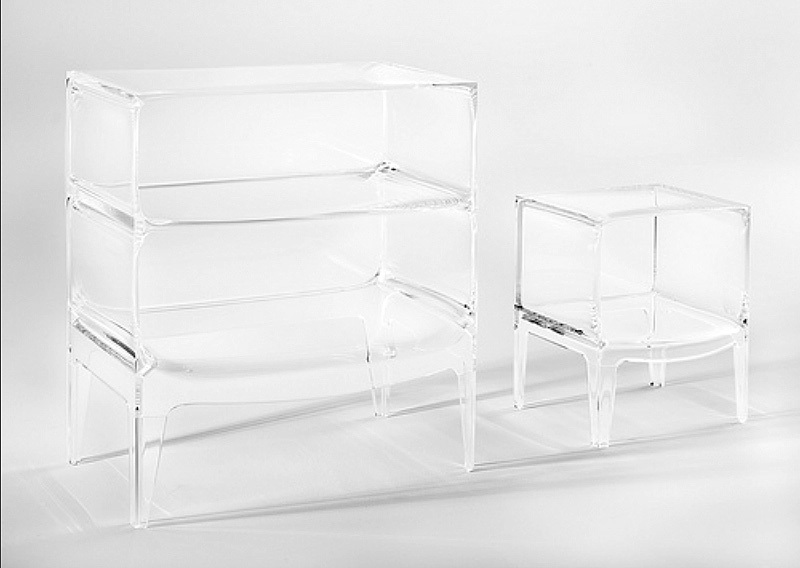 Small Ghost Buster is the first night stand table created by Kartell. 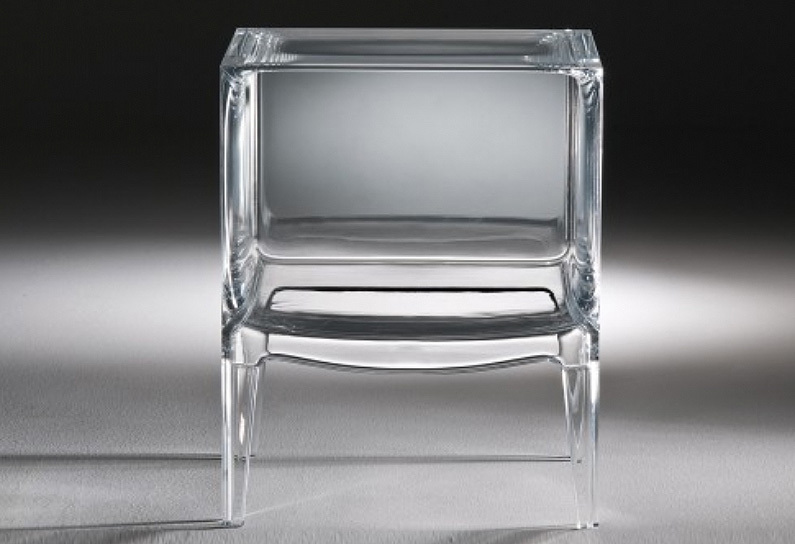 Starck designed this simple, flexible object which is at home in any corner of the house. 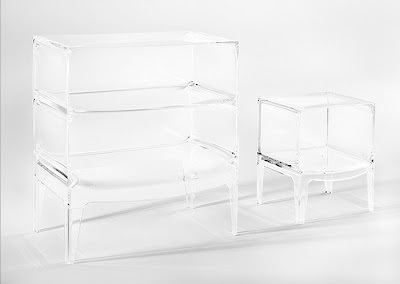 Available in a large range of colors in transparent finish as well as two matt finishes, the night table is a play of square corners and gently rounded surfaces. 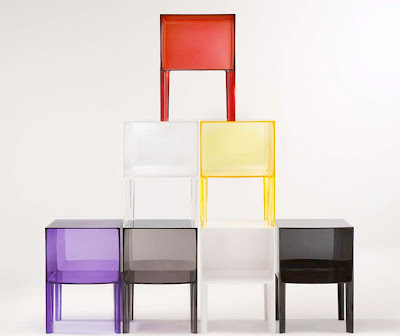 The storage unit is available in the two transparent colors; crystal, yellow, violet, red, fume and two matt colors; white and black.